Capital gains tax can be complicated, with all the new rules regarding properties and so many exemptions and reliefs available. 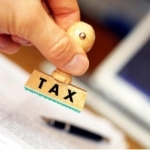 Our specialist tax team can in many cases reduce or even eliminate a potential tax liability. Visit our contact page to get in touch and find out more.